The world feels a little scarier these days— what have we stopped paying attention to and what can we do about it? 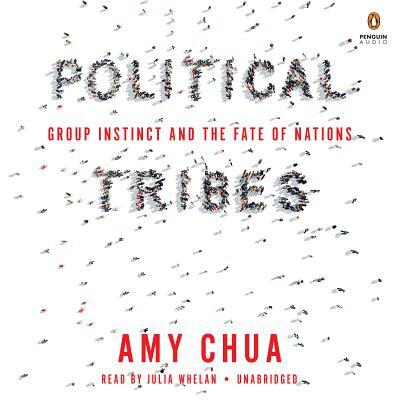 Amy Chua once again brings her clear and smart perspective to geopolitical realities in her new book, Political Tribes. By understanding the human need for belonging to groups, Amy argues that we can overcome divisiveness by rediscovering a national identity, but it will mean respecting our differences, not pretending they do not matter. I finished her book with more understanding and more optimism for the future. Humans are tribal. We need to belong to groups. In many parts of the world, the group identities that matter most – the ones that people will kill and die for – are ethnic, religious, sectarian, or clan-based. But because America tends to see the world in terms of nation-states engaged in great ideological battles – Capitalism vs. Communism, Democracy vs. Authoritarianism, the “Free World” vs. the “Axis of Evil” – we are often spectacularly blind to the power of tribal politics. Time and again this blindness has undermined American foreign policy. In the Vietnam War, viewing the conflict through Cold War blinders, we never saw that most of Vietnam’s “capitalists” were members of the hated Chinese minority. Every pro-free-market move we made helped turn the Vietnamese people against us. In Iraq, we were stunningly dismissive of the hatred between that country’s Sunnis and Shias. If we want to get our foreign policy right – so as to not be perpetually caught off guard and fighting unwinnable wars – the United States has to come to grips with political tribalism abroad. Just as Washington’s foreign policy establishment has been blind to the power of tribal politics outside the country, so too have American political elites been oblivious to the group identities that matter most to ordinary Americans – and that are tearing the United States apart. As the stunning rise of Donald Trump laid bare, identity politics have seized both the American left and right in an especially dangerous, racially inflected way. In America today, every group feels threatened: whites and blacks, Latinos and Asians, men and women, liberals and conservatives, and so on. There is a pervasive sense of collective persecution and discrimination. On the left, this has given rise to increasingly radical and exclusionary rhetoric of privilege and cultural appropriation. On the right, it has fueled a disturbing rise in xenophobia and white nationalism. Amy Chua is the John M. Duff, Jr. Professor at Yale Law School. She is a noted expert in the fields of ethnic conflict and globalization, and the author of the bestselling titles World on Fire: How Exporting Free Market Democracy Breeds Ethnic Hatred and Global Instability, Day of Empire: How Hyperpowers Rise to Global Dominance -- and Why They Fall, Battle Hymn of the Tiger Mother, and her most recent book, The Triple Package: How Three Unlikely Traits Explain the Rise and Fall of Cultural Groups in America, co-written with Jed Rubenfeld. She lives in New Haven, Connecticut, with her husband and two daughters.